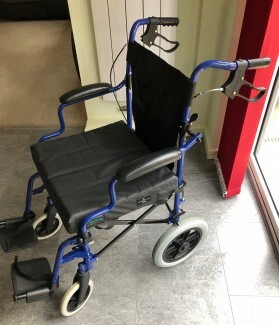 Elite Care ECTR04 Folding Transit Wheelchair complete with Ultimate Healthcare memory foam cushion – Incredibly compact and virtually unused. 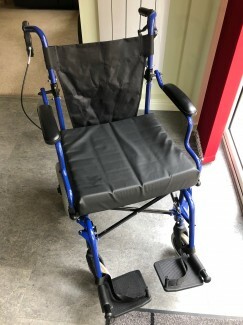 Easily folds down to approx 1/3 of the size of a typical folded wheelchair! Folded size 79 x 28 x 36cm (with footrests removed). 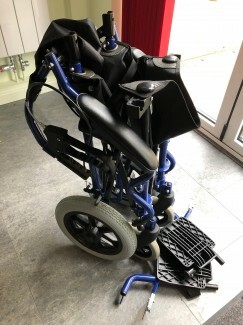 Lightweight aluminium construction makes the wheelchair easy to transport.